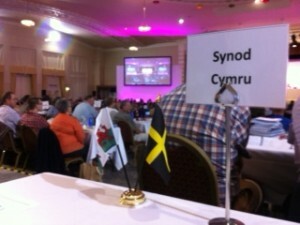 The Synod was held this year in Aberystwyth on 23 April. 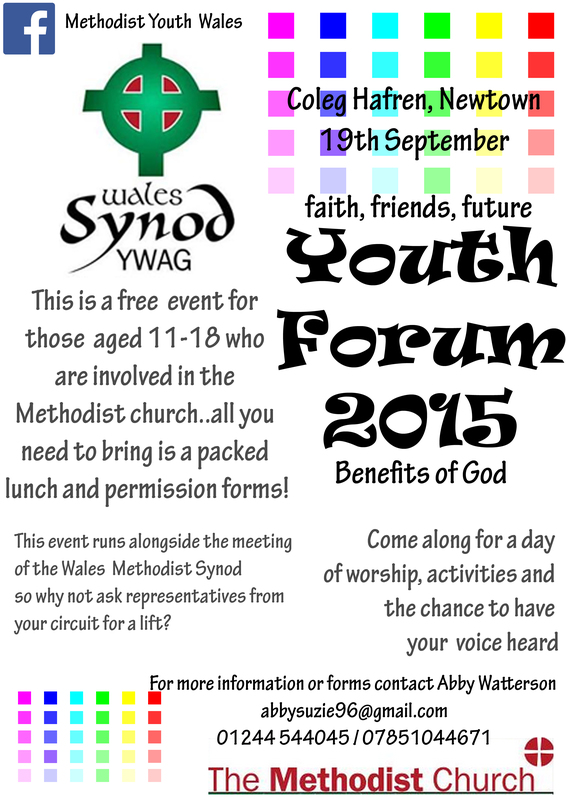 A warm welcome awaited representatives there, including our guest speaker, Revd Gareth Powell, Secretary of the Methodist Conference. 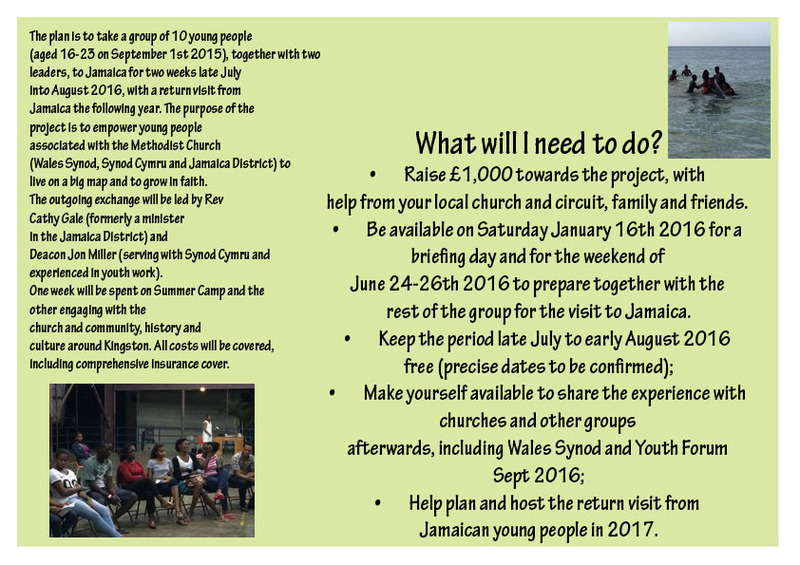 Among other decisions, the synod agreed to move to a third theme for our project “Developing Our Calling” for 2016-17, namely Service. The Synod also agreed to carry out a review of its life and mission as the Cymru Synod and Circuit during the coming connexional year. 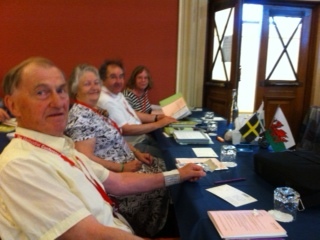 Many thanks to the Ceredigion friends for all their preparations for the Synod, and to everyone for their willing work and contributions. 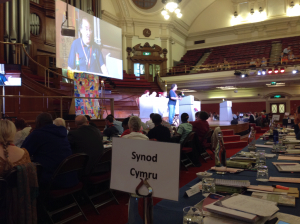 It was a privilege and a blessing to welcome the Revd Steve Wild and Dr Jill Barber, President and Vice-President of the Methodist Conference 2015-16, to Synod Cymru and Wales Synod between Thursday 17 and Sunday 20 March 2016. They arrived in Shrewsbury on Thursday morning. 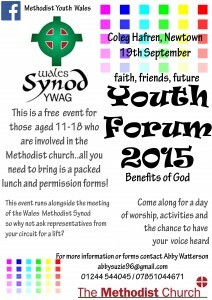 After spending time with members of both Synods in a meeting of Y Cyngor, Revd Steve Wild went onto South Wales with Revd Dr Stephen Wigley, Chair of Wales Synod. Dr Jill Barber spent the afternoon visiting the Tanat Valley, Powys, with the Chair of Synod Cymru. Jill received a warm welcome with tea and a chat in Tabernacl chapel, Llanfyllin, before going onto be enchanted by the beauty of Pennant Melangell. 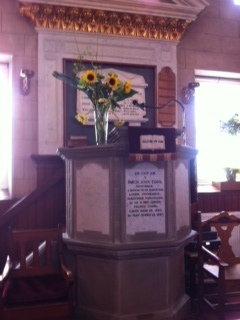 The afternoon ended with a visit to Seion Chapel, Llanrhaeadr YM, and a warm welcome, tea and chat there once again. Many thanks to all. 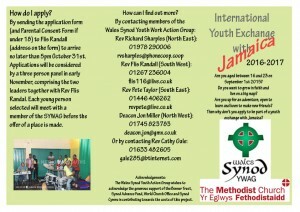 On Friday afternoon, while the Vice-President was visiting Aberystwyth (where her husband, Peter, was a minister, some twenty years ago), the President joined members of Synod Cymru on a visit to Mary Jones World near Bala. The centre, which tells the story of Mary Jones and her Bible, made a big impression on Steve, and he was delighted to receive a copy of beibl.net, the new translation, as a gift from the Synod. It was a complete coincidence that Mary Jones’ Bible itself was visiting Bala at the same time, so everyone had the chance to see the Bible at Barclays Bank in the town at the end of the afternoon. Following a meal in the manse of Revd Sue Lawler (formerly of Synod Cymru but now Superintendent of the Welshpool and Bro Hafren Circuit) on Friday evening, Revd Steve Wild and Dr Jill Barber were together on Saturday morning in St Paul’s, Abergele. The theme of the meeting was their theme for this year, namely “Heritage and Mission”. In the evening, the President joined members of the Buckley and Deeside Circuit for tea, before spending the night with Revd Phil and Mrs Catherine Barnett. 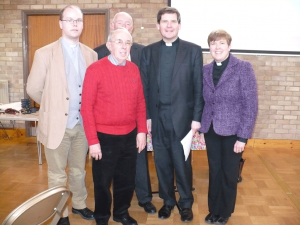 On Sunday morning, Revd Steve Wild preached in St John’s Church, Llandudno, in the presence of several members of Synod Cymru, before flying the Isle of Man for Holy Week. The Vice-President’s responsibility on Sunday was to lead a service to remember Conscientious Objectors at Englesea Brook, the Methodist Church’s museum in Staffordshire where she is director. The year is very busy for both of them, so we pray every blessing on Steve and Jill as they travel on in the name of the Connexion and of our Lord. The media of late has been full of stories of desperate people arriving in Europe, with the press focus largely concentrating on the growing numbers, rather than the conflict, injustice and oppression from which many are escaping. In truth, the reaction of many in the UK and elsewhere in Europe has been far from sympathetic and the language frequently used to describe those seeking entry to European countries has too often been deplorable, both derogatory and de-humanising. Each year millions of people globally are forced to flee their homes due to violence, conflict and disaster. Most remain displaced within their own countries, but millions of others must cross borders to reach safety, the majority even then remaining in the developing world, hosted by some of the poorest countries in the world. It is not a new phenomenon – Christian Aid was founded 70 years ago to assist refugees and the displaced in Europe following the Second World War. Today we support those affected by war and violence in numerous countries, including Syria, Iraq, Afghanistan, South Sudan, the Democratic Republic of Congo and Colombia, providing practical assistance through local organisations embedded in their communities. To be hospitable to “the stranger”, and to open worship sanctuaries and spaces to engage and dialogue on migrant issues. To continue to seek and listen to the voices of migrants, asylum seekers, stateless people and refugees in attempts to make appropriate responses. To continue to seek to understand the plight of those in distress; and to pray for them and with them. To continue to provide support to migrants and refugees and stateless people at community level through access to shelter, information, and services. For churches and faith based organisations & civil society organisations in countries of origin, transit, and destination to dialogue and where possible share experiences to enlighten each other’s responses. 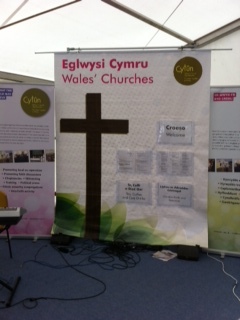 The Cytûn (Churches Together in Wales) tent was often full to bursting during the week of the National Eisteddfod in Meifod at the beginning of August this year. 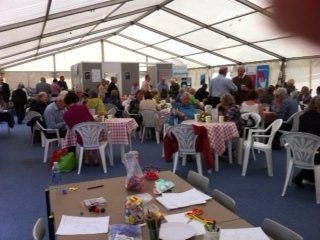 The tent is much appreciated as a place of the Eisteddfod field to have a cup of tea and a sit down, to listen to inspiring talks and to take time to worship and to reflect. 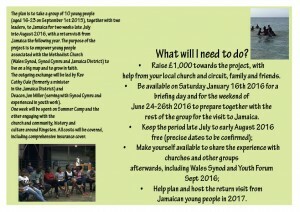 It is staffed by volunteers from the denominations and local churches, including a number of representatives from Synod Cymru, who were ready to welcome visitors to the tent and to the Synod’s stall. 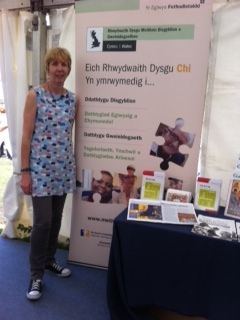 Thanks to each one of them for their help, and especially to Delyth Wyn Davies, Learning and Development Officer, for preparing the stall. 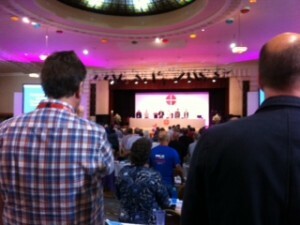 This year’s Methodist Conference was held in Southport from Saturday 27th June to Thursday 2nd July. Five representatives from Synod Cymru, including the Chair, joined with hundreds of other people to pray, worship, discuss and decide about the life of our denomination. 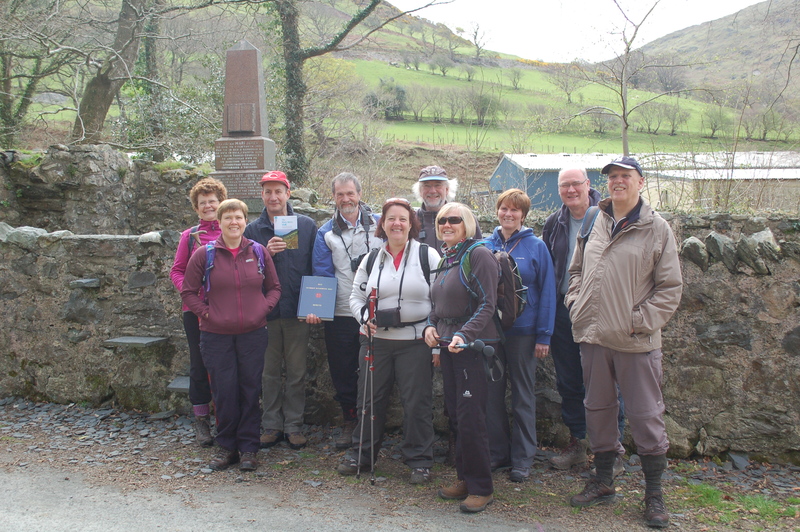 Saturday 16 May saw the 2015 Synod Cymru Historical Society pilgrimage to Eglwysbach in the Conwy Valley, where one of Wales’ greatest ever preachers, Revd John Evans, was born. 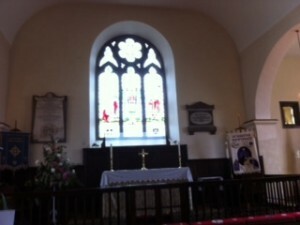 It began in the parish church of St Martin, with songs by children from the village school. 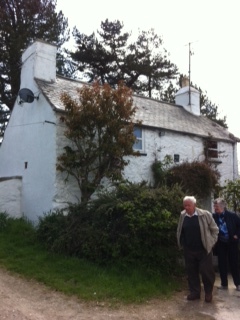 Then, an opportunity to see the home of John Evans, before gathering in Ebeneser chapel, the location of the John Evans memorial pulpit, for an address by Dr Telfryn Pritchard. A blessed and interesting day was had by all. Thanks to Robin Jones and the members of Ebeneser chapel for the arrangements and the welcome. 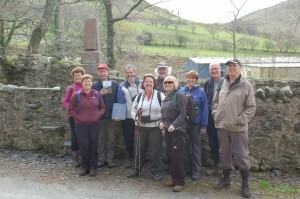 On April 17th and 18th, a group of Methodist Church District Chairs and some of their friends walked in the footsteps of Mary Jones from Lanfihangel-y-Pennant to Bala. They carried with them the Welsh language section of the Bible that was written by hand by people throughout the Connexion back in 2011. Here are the walkers at the start of their journey. 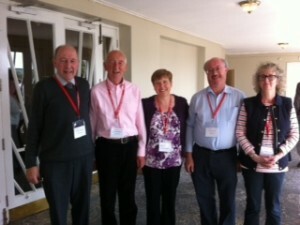 From the left: Revd Ann Brown (Beds., Essex & Herts. 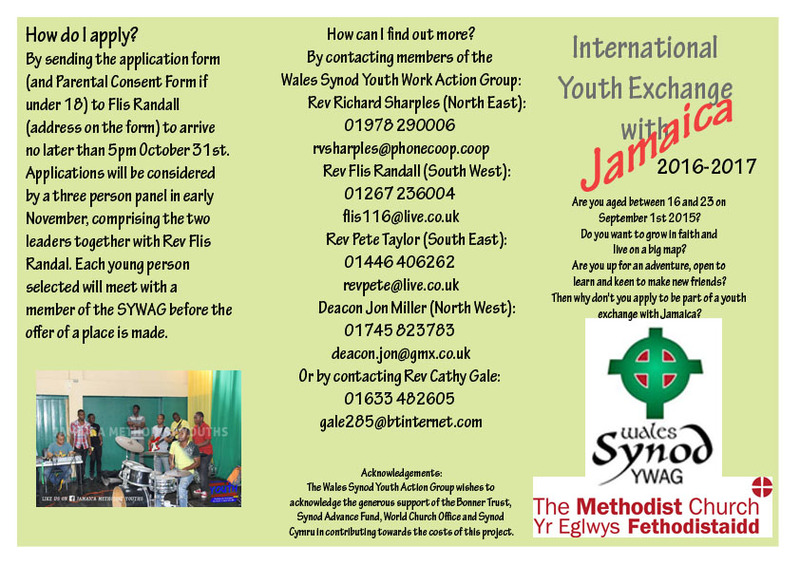 ), Revd Jennie Hurd (Synod Cymru), Revd Stephen Wigley (Wales Synod), Revd John Howard (Wolverhampton & Shrewsbury), Revd Michaela Youngson (London), Revd Peter Barber (Chester & Stoke), Dcn Lorraine Brown (Peak Park Rural Development Officer), Revd Ruth Gee (Darlington), Revd Roger Walton (West Yorkshire), Revd Leo Osborn (Newcastle).